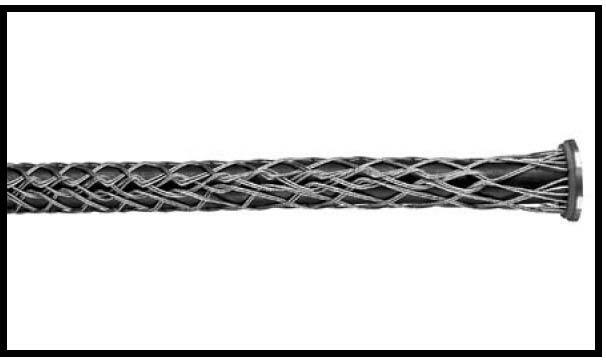 Amtec Conduit Riser Support Grips are used to support cable runs in vertical or sloping standard rigid conduit. They are designed to prevent cable creep in conduit and help prevent cable pullouts. Amtec Conduit Riser Support Grips install quickly and easily, with no damage to electrical cords. The mesh is attached to a support ring, which sits on the conduit requiring no extra hardware to attach. Fittings, bussings or couplings may be threaded on the conduit with the grip in place. Amtec Conduit Riser Support Grips are made from stranded tinned bronze wire.